Downtown Houston is the heartbeat of our city. The bustling 1,178-acre area in the 77002 zip code contains a modern web of pedestrian tunnels and skywalks. Architecture lovers will appreciate the expertly designed region, filled with gleaming tall towers and skyscrapers. Numerous companies have their headquarters here, making it a desirable and convenient place to live and work. The area truly has it all. Theatre and symphony fans will be in heaven with options like the Alley Theatre, Hobby Center for the Performing Arts, Jones Hall, and more. Or, if you’re in the mood for more casual fun, check out Minute Maid Park, where the Houston Astros play baseball. Take the family to the Downtown Aquarium or Discovery Green. On top of that, the Museum District houses 19 museums, galleries, and cultural organizations. Ameritex Movers are experts at completing your home move from start to finish, no matter the size or location. Rest assured that we will be with you every step of the way, and we’ll take care of all the details so you don’t have to. Downtown has a thriving community of apartment residents. Ameritex Movers understands that apartment moves can be trickier than home moves, so we take care of all of the ins and outs, letting you start setting up house. In addition to residential moves, we also conduct commercial moves. This is especially important in an area like Downtown Houston. We offer safe, efficient, and timely packing and transport to have you up and running ASAP. At Ameritex, our main goal is to help you settle smoothly into your new home. Our Downtown Houston movers can help you have that stress-free move you’ve always wanted. We have experienced moving professionals who are ready to help you create a plan to meet your specific needs. Conveniently schedule separate moving services or enjoy our complete full-service move. 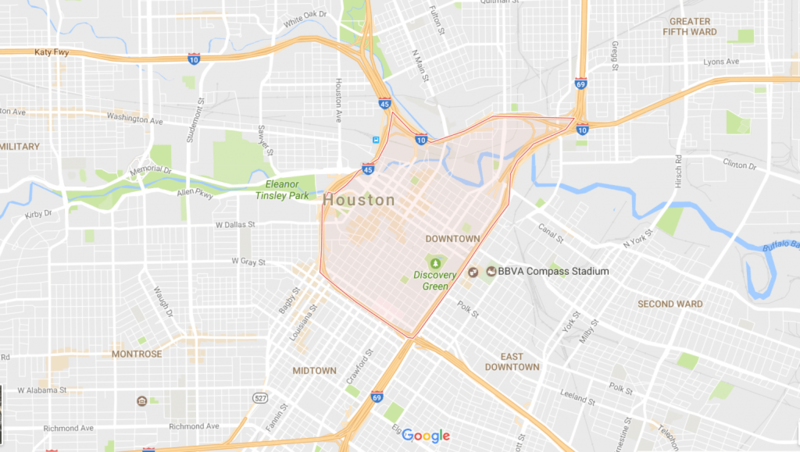 Houston is a sprawling city with dozens of separate areas and communities. You will no doubt need some assistance learning about your new place of residence. This list of resources will help you navigate different zip codes and parts of town, find out about education options, and get plugged in. Are you considering a relocation to Downtown Houston? Be sure to contact Ameritex today or fill out our easy quote form located at the top of the page. Read about our many satisfied customers and our stress-free move day guarantee. We would love to help you plan your perfect move.